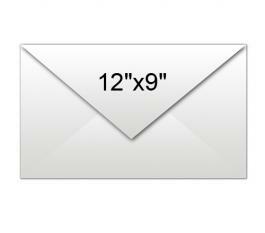 You can implement the thought in marketing envelope 12 x 9 plain white. You can easily use it for mailing promotional magnets to your customers during festive sales driving or as an acknowledgement token or greeting token on special occasions. * Must be ordered in increments of 100. Request a quote to know discounts on wholesale envelope 12x9 plain white.